COUNTY LEAGUE. 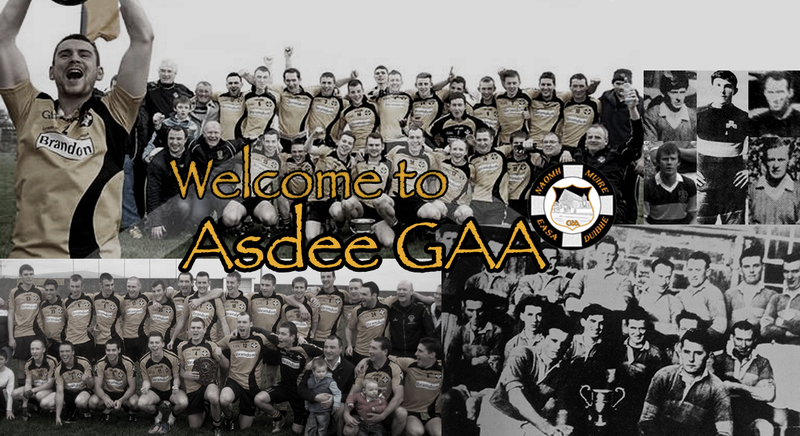 Asdee 2-13 Ballydonoghue 4-9. Both sides completed their County League Division 5 campaign on Saturday last at Walsh Park with victory going to the visitors in a cracking contest that saw some excellent football being played by both sides. The game itself was a nip and tuck affair and in fairness it was anybodys game right up to the sound of the final whistle. However on saying that Ballydonoghue were just about that little bit craftier and with Paul Kennelly, (2) and Jack Gogarty scoring first half goals giving them a 4pt interval advantage; Mike Breen scored Asdees goal leaving it Ballydonoghue 3-5 Asdee 1-8. On resumption it was more of the same as play swung from end to end. Mike Breen who was in great scoring form from frees and play for the home side kicked some excellent scores and finished with 1-7 to his credit. Still the old saying goes that goals wins matches was once again very evident on this occasion and even though Charles Dalton found the net for Asdee Tommy Kennelly was equal to the task at the other end in scoring his sides 4th goal. Overall even though both sides are at the wrong end of the Division 5 league table it was still a very competitive game.